Today the historic harbour of Kinsale is a yachting and fishing centre of great character. Originally it was a fishing town with a well sheltered harbour of strategic importance. Kinsale received its first royal charter from King Edward the third in 1333. At the Battle of Kinsale in 1601 the defeat of the Gaelic aristocracy marked their end as a power for the English to reckon with. A Spanish fleet had lain in the bay, ready to support the Irish cause against Elizabethan forces, but was unable to offer any useful support to the Irish forces. Though some resistance continued for six more years the nobility finally fled to the continent, relinquishing their lands. This was known as “the flight of the Earls”. 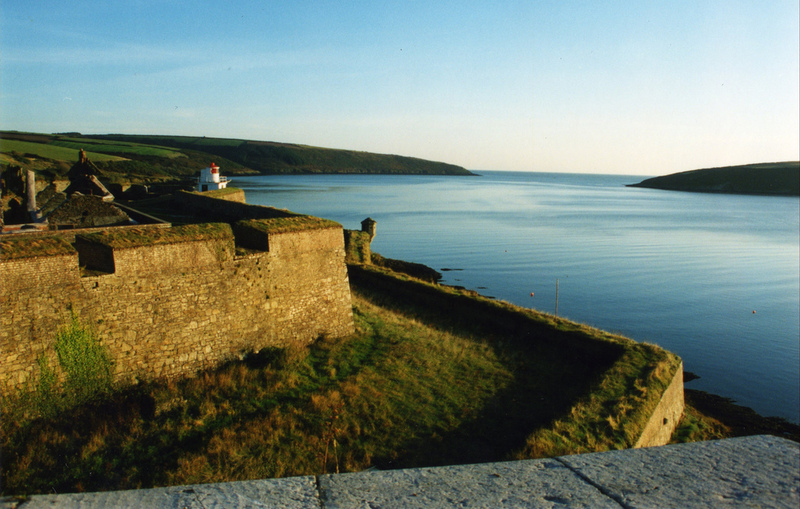 Kinsale once more took its place in the history books when James the Second landed in 1689. He was attempting to regain his throne with the support of the French. The attempt ended with his defeat in 1690 at the Battle of the Boyne. Later in the 17th and 18th centuries the port became an important British naval base. If you visit today take a look at Charles Fort and Desmond Castle.